Refreshing coffee drink in the mornings is an ideal start of the day. Ararat Resort’s Lobby Bar is a perfect place to enjoy tasty and exceptional coffees, teas, exotic cocktails and snacks. It’s quiet music, comfortable area, views to the mountains never fail to impress our guests. Hey Buddy!, I found this information for you: "LOBBY BAR". 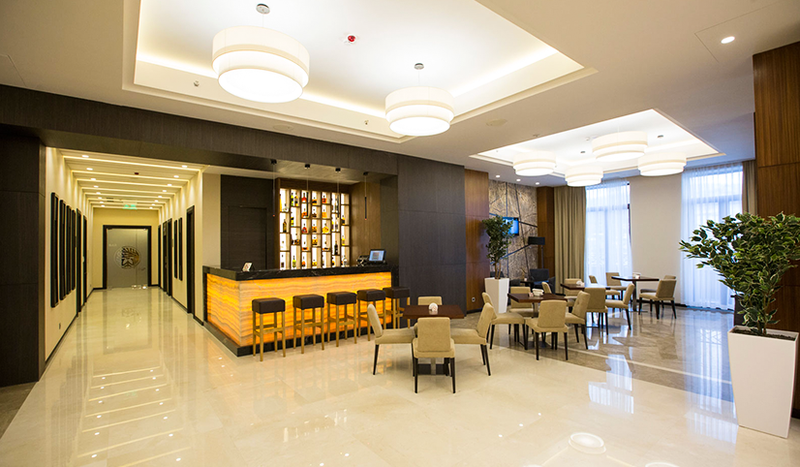 Here is the website link: http://araratresort.ru/lobby-bar/. Thank you.